A set of TWO 1900 era dining or game table chairs are solid oak, elm and ash hardwoods. 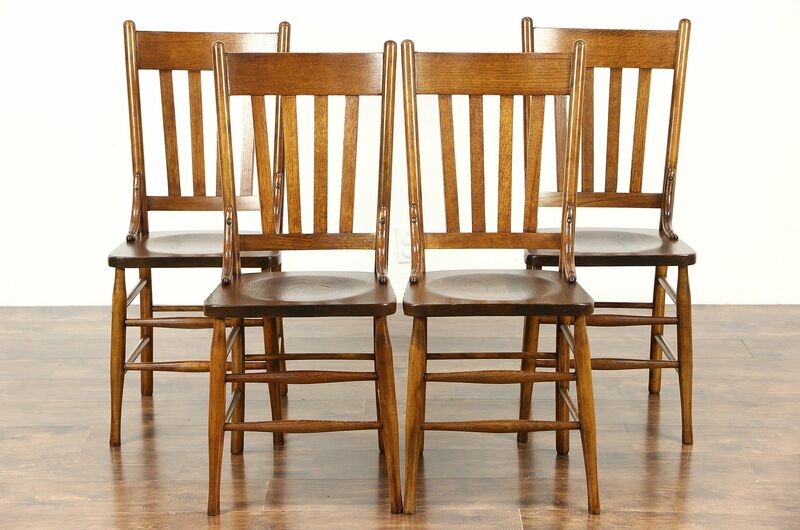 Reglued to serve another generation, these sturdy chairs have an excellent renewed finish. Clean lines are classic on this American made antique furniture. Measurements are 16" wide, 18" deep, 37 1/2" tall and seats are 18" high and 15" deep.